Milwaukee Bavarian SC beat West Chester United, 2-0, in the 2018 USASA Amateur Cup National Finals. Published Aug. 5, 2018 at 9:29 p.m.
For Milwaukee Bavarian SC, the third time was the charm, and championship number seven sure tasted sweet. After heartbreaking losses at their home field in the National Finals each of the last two years, Wisconsin's storied soccer club finally triumphed this weekend. Bavarians won the United States Adult Soccer Association Amateur Cup in front of 2,000 fans at Heartland Value Fund Stadium, lifting – then promptly, of course, drinking beer out of – the Fritz Marth Trophy on Saturday night. Bavarians defeated West Chester United (Penn. ), 2-0, in the USASA Amateur Cup National Finals, which the club was participating in – and hosting at its Glendale soccer complex – for the third straight year. The home team tallied two goals off set pieces in the first half, with Dogara Zamani scoring in the 30th minute and Vuk Latinovich adding the second three minutes later for a lead they'd keep the rest of the match. "It was an amazing feeling last night, knowing that we've been battling for this and come so close the past two years," said midfielder Scott Lorenz. "I'm really proud of all the guys that have contributed over the past three seasons, starting with our awesome coaching staff – Pat Hodgins, Alex Toth, Tom Zaiss and Jon Mroz – and our captain, Bret Dietz." 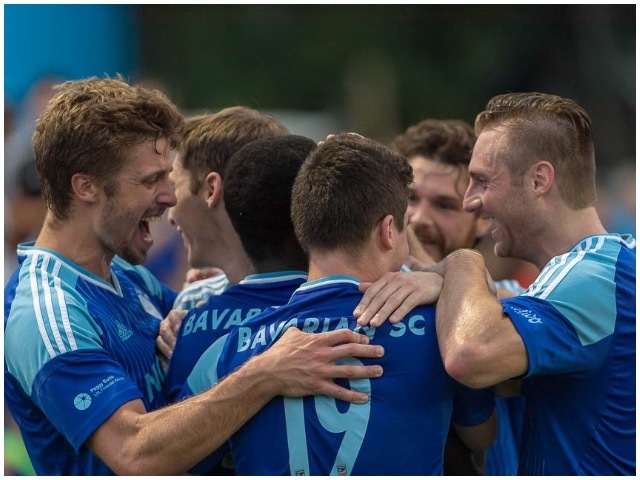 Bavarians' last two championship games had resulted in a pair of exciting, but excruciating, narrow losses – the 2016 final was tied 0-0 after regulation, but Christos FC (Maryland) scored twice in extra time for the victory; in 2017, following 120 grueling minutes, Lansdowne Bhoys (New York) prevailed in a dramatic penalty kick shootout. This time, Bavarians didn't risk making it interesting; they were bitter runners-up no more. Saturday's victory gave Milwaukee's 89-year-old soccer club its seventh national championship, a seventh star for its storied crest. Congrats Bavarian Major Team, Coach Hodgins, Toth and Zaiss. YOU are the 2018 #USAmateurCup Champions and claim a 7th Star for our crest! Bavarians also won amateur national titles in 1976, 2001, 2002 and 2003, as well as open cup championships in 2003 and 2009. By capturing the Amateur Cup this weekend, the major team secured a place in the 2019 U.S. Open Cup, to which they'll return for the first time in a decade. Bavarians, who qualified for the final four by winning Region II in May, beat San Nicolas FC (California), 2-1, in a thrilling semifinal on Friday. The teams were tied 1-1 after 90 minutes – with Tighe Dombrowski scoring for Milwaukee in the 63rd minute – and it took Nick Wilson burying the go-ahead goal on a lightning-fast counterattack in the second overtime period to get Bavarians through to the Finals. 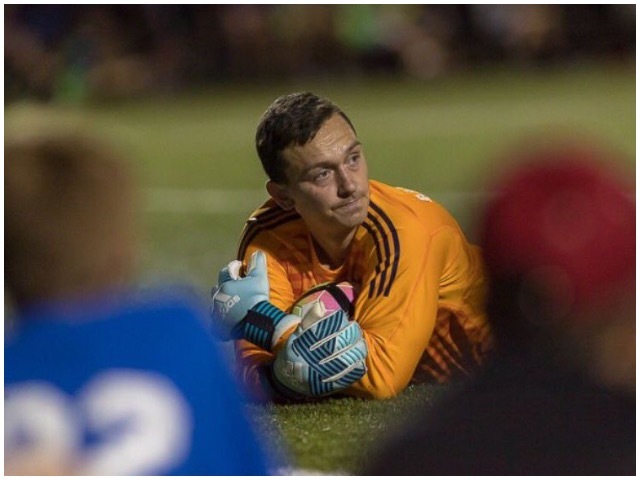 Over the weekend's two games, Bavarians got contributions up and down the roster, especially from dynamic wingers Logan and Braden Andryk and indomitable goalkeeper Jim Jones. "Special shoutout to Jimmy Jones, who played unbelievable this weekend and kept giving us chances to win," Lorenz said. Teams qualify for the USASA National Amateur Cup by entering the tournament at the state or regional level. The winner from each of the four regions advances to the Final, which is hosted by one of the competing teams. This year the four teams shared nearly $40,000 in prize money, with the champion Bavarians receiving $15,000. According to Lorenz, that money will be used to help defray the costs of traveling to other tournaments. Founded in Milwaukee in 1929, Bavarians are one of the country's oldest soccer clubs, and the most successful in the state. Hodgins, who was named USASA Region II coach of the year in 2018, has been leading the squad since 2012. "That encouraged us to go out and just play like we know how and like we have all season." And, the third time around, it was enough to finally raise a seventh cup.